Anyone who has a fur baby knows that the bond between animals and children is incredibly powerful. And no one can deny the sweetness of this video, which showcases a sleepy moment between a boy and his dog. 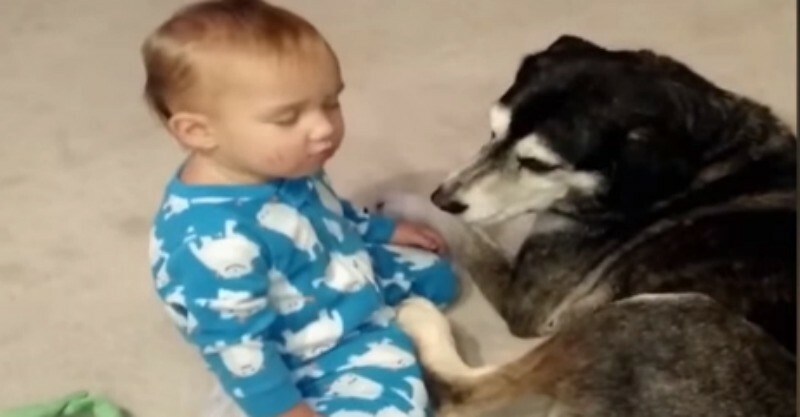 The 30 second video, uploaded to YouTube by Kyoot Kids, captures a very tired toddler trying his hardest to stay awake while his furry friend gives him gentle licks and kisses. Despite his best efforts, the little man succumbs to sleep and collapses on his dog, who patiently takes on the role of baby pillow. While everyone has their own opinion on pets and animals, there is no doubt that this little man and his best friend share a special bond. Check out some of our favourite animal encounters including the napping toddler and his puppy and the toddler and dog who dress the same.